Dragon Quest VII: Fragments of the Forgotten Past is one of the most substantial releases of the year on 3DS, and it's a long-awaited remaster for fans of the series. Compared to the original it delivers a major visual overhaul, along with improvements to make it more suitable for portable gaming. What cannot be changed in any remaster is the fact that it's an enormous game, dauntingly so, and behind that release there'll have been a huge amount of work from various teams. One of the teams involved was UK-based Shloc Ltd., which handled the English localisation. Nintendo UK has spoken to Oli Chance from the company to learn more about the challenges they faced. It's a team that's worked on multiple Dragon Quest titles, but even with that in mind Fragments of the Forgotten Past is arguably a standout in terms of its sheer scale. One of the hardest things was to put enough time in the schedule for the editor of each language to see all the text, which in our experience is the only way to ensure consistency and quality throughout. You can throw a lot of translators at a job, but if there's no one making sure they're all working to spec and that quality is as high as it can be across the board, then things can easily go awry. Nothing quite compares to DQVII. It's one thing to contemplate taking on a job this size, and quite another to be four months in, knowing there are months left to go, and that if your pace falters, you could send the entire project off-schedule in five languages. 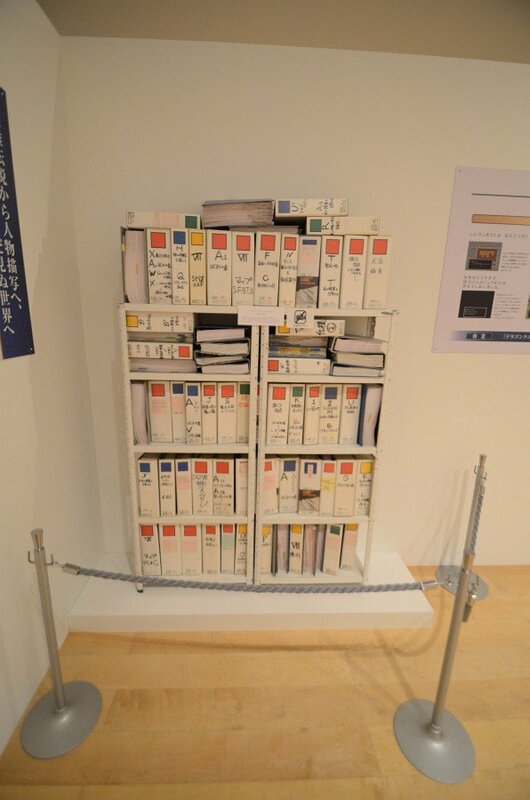 Chance also considered the scale of the project, and the requirement to maintain the carefully woven world and plot from the original Japanese language script. With this specific DRAGON QUEST—the biggest and most famously complex of them all—the key concern for us was to make such a massive, involved, multi-threaded story work as a coherent whole, and to keep things alive over such a long timeframe, as the Japanese does so skilfully. There's a grandeur to the original, and a sense of what you might call the golden age of JRPGs, where creators were really revelling in the possibilities of being able to tell stories on a hitherto unheard-of scale. We felt pretty keenly that the key to doing this right would lie in capturing that excitement and sense of endless possibility. Whether we did or not is up to the player to judge, but hopefully at least some of the 'There's No Such Thing As Too Big' feel that the original revelled in back when it was first released will come across. The interview's an interesting read, as it gives an insight into the challenges of such a significant localisation project. You can check out the full thing on Nintendo's website. This is an awesome article, and I'm really grateful for the team's work. In much the same way as Trails In The Sky, the love and commitment of the team comes through in just how alive these virtual communities feel to players. Loving the game! You can tell how much craftsmanship went into translating the game. Much respect to the men and women who localized DQVII: I really admire their dedication and excitement they had in their work. It even comes through in these interview excerpts. I'm going to save DQVII for a little later in the year so I can have a massive RPG to finish the year with. I love and respect the work the localization team put in but I do hope they drop the British/Cockney/ye olde English style they seem to be so in love with. It is very jarring. Granted I only buy domestic to show support so I suppose it is an empty grievance. Translating these massive, text-heavy JRPGs must be hell. I have huge respect for the ones who do that while also respecting the integrity of the original translations and not over-"localizing" them. Thanks to all for the localisation! I love this series and especially DQ 7! My 3DS has turned into THE Dragon Quest system with DQ 4, 5, 6 (original remakes on DS) and 9, with 7 now and 8 in 2017. And hopefully 11 too in 2017 or 2018. I have been playing Dragon Quest VII for a while, and the translators did a brilliant job. Have laughed out loud many times. It really is impressive how much unique dialogue is packed into Dragon Quest VII. Your team members often have a comment to add or a thought to share about whoever you just talked to in the game, if you choose to talk to them immediately afterwards. I didn't even realize team members had so much NPC-specific dialogue until a good ways into the game. And the dialogue of town citizens both in the past and present timelines updates after basically all major events involving them. Even revisiting islands in the past well after you've finished solving their problems will often provide new insights on how the citizens are getting along with rebuilding/reflecting on the past events. It really helps the game feel like a living, breathing world. Often in RPG's I'll skip some of the dialog but I'm going back and speaking to as many npc's as I can. It was known back during the 5th console generation that one of the reasons that the original version of DQ7 was delayed for so long was the transition from being planned for the N64DD, then eventually moved to the PS1. 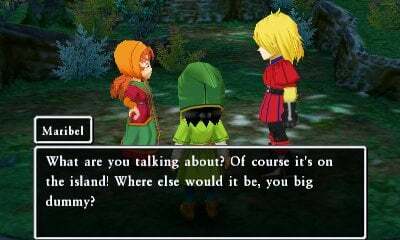 What was not known as to why it took so long to be released outside of Japan (14 months afterwards, in October 2001, when the PS2 was already going strong), until people got their hands on it, was that DQ7 had an unprecedentedly huge script. This was a really long game for the time period. Only the remakes of Lunar 1 & 2 could come close to matching the size of DQ7's script at the time period. Updating the script must have been just as rigorous in it's own way. Congratulations to their team on a job well done! There certainly was a lot of text in this one and the writing in general was superb. It was a great RPG to add to the 3DS catalog. And I can confirm that the french translation is fantastic as well ! The work payed off, you can't even tell that it wasn't originally made in English! Great game too btw. I've been in love with Dragon Quest since I played IV on the DS, and one of the aspects I like the most is actually the localization: DQ is the only series I know whose Italian localization makes extensive use of the innumerable accents and dialects we have, scattered all around the Boot. This detail in and of itself is enough to show the commitment and passion poured into these localizations, and I haven't even mentioned the puns! Oh, the puns!